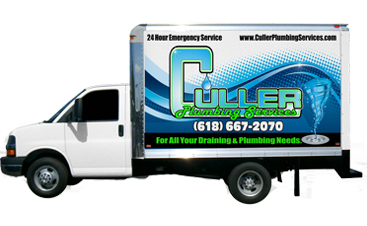 It is easier and more cost effective to prevent sewer backups than it is to deal with them after the fact. #3. Be careful about what you put into your garbage disposal. Many people use their garbage disposals like trash cans, but just because it has the word “garbage” in its name, doesn’t mean that it is safe to throw just anything down it. 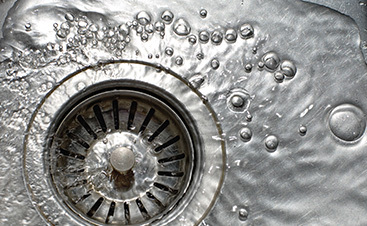 There are many things that seem safe to put in your garbage disposal that can lead to clogs and even sewer backups. Fat, grease and cooking oils are all great examples. Since they are liquid when hot, people don’t often think twice about putting them in their garbage disposals, but when they cool, they solidify and cause clogs. #4. Replace your old pipes. Older pipes were often made out of metal or clay. Unfortunately, metal pipes will start to corrode over time and clay pipes are extremely susceptible to intrusion from shrub or tree roots. 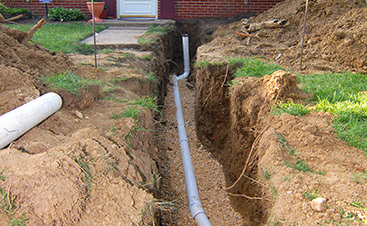 Replacing these old pipes with PVC or plastic pipes can help to greatly lower your risk for sewer backups. 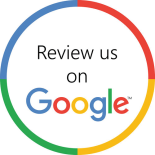 We have just a couple more sewer backup prevention tips to go over with you, so please stay tuned for our next blog.